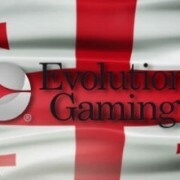 Evolution Gaming have released their Q4 2015 results revealing strong growth in revenue and earning from Q4 2014. Growth in mobile was particularly strong, comprising 33% of total revenue for the quarter and representing a 33% increase on Q3 2015. Evolution Gaming shares on the Nasdaq First North Premier exchange were up 3.33% on yesterday’s closing price (to SEK 279), and significantly higher than the SEK 89 list price back on 20 March 2015. PRESS RELEASE – Evolution ended the record year 2015 with another quarter of strong growth. Evolution ended the record year 2015 with another quarter of strong growth. EBITDA for the fourth quarter amounted to EUR 9.3 million, corresponding to a margin of 42%. Expenses amounted to EUR 14.9 million, driven by the continued high rate of recruitment needed to meet the considerable demand for our services. For the full-year, EBITDA excluding IPO expenses was EUR 31.0 million with a margin of 41%. During the quarter, we signed agreements with Casumo, Gamesys and SBTech, among others. 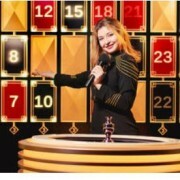 However, just as in previous periods, growth was driven mainly by existing customers, who are focusing increasingly on their Live Casino offerings. William Hill is an excellent example with its new Macau environment. Another one is Genting with its new VIP area Crockfords, built in detail to recreate the ambiance of the exclusive gaming club that shares its name in London’s Mayfair. To meet the rising demand for customised tables and environments, we have acquired the building that houses our production studio in Riga. The acquisition strengthens our control of our continued expansion and, in time, could double our studio space compared with today. Mobile growth remains very strong. In the final quarter of the year, 32% of the operators’ gaming revenues generated via the Evolution platform derived from mobile devices. In absolute numbers, growth was 33% compared to the third quarter of 2015. Evolution has the most extensive mobile range in the market, and we will continue to devote significant resources to the mobile offering in 2016. During the latter part of 2015 and beginning of 2016, we have seen a significantly increased interest in Live Casino from land-based casinos. The land-based segment is an exciting growth area in the coming years; The market is several times larger than the online gaming market, but with small growth, meaning many of its operators want to capitalise on their strong brands online. 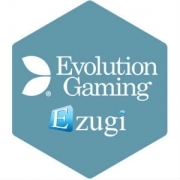 Evolution intends to be the partner of choice as this happens, and can clearly show the benefits with customers like Genting, Casinó Campione and Casino Dragonara – which all have chosen different solutions. For the latter, we launched our new product Dual Play Roulette during the fourth quarter. In Dual Play, convergence between land-based and online gaming comes true, with players at the land-based casino and online players playing together at the same table with no additional operational costs incurred by the casino. Other new products include Live Caribbean Stud Poker, which we created in collaboration with Games Marketing and which is the only live version of this popular poker game that is available from a major provider. We have also launched a completely new version of Live Baccarat with squeeze, which elevates the Baccarat experience to the same standard as our award-winning Immersive Roulette. During the year Evolution has made a number of key recruitments of senior executives and specialists. We started off with Martin Carlesund as CEO of Evolution Malta, followed by Todd Haushalter as Chief Product Officer, and in the beginning of 2016 David Craelius joined as Group Chief Technology Officer and Maria Z Furenmo as Group Chief People Officer. With these latest recruitments, we have a strong and experienced team in place to take Evolution to the next level. We have now progressed halfway into the first quarter of 2016 and the year has started strongly. Among activities so far I would particularly like to mention our agreement with Scientific Games, which entails Evolution exclusively offering Ultimate Texas Hold’em, with the initial launch planned for this summer. We have also signed a deal for a new on-premise studio for our customer Napoleon Games in Belgium, further strengthening our market position. Finally, I would like to announce that Evolution’s Board of Directors has decided that the company will apply for listing on Nasdaq Stockholm’s main list in 2016. Given that we want to be able to focus fully on our business and benefit optimally from the strong momentum we are currently experiencing, we will adjust the precise timing to when management considers it most appropriate.